Today technology is growing continuously and users are also accepting those changes. Nowadays user are ready for each and every change in the technology, and the music is the one of the best thing for people to time pass anytime anywhere. As we all know, today 90% people are connected to internet just because of advancement in science and technology. 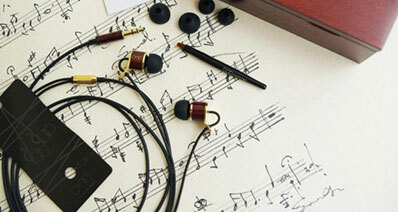 Even in the music, they want to enjoy their favorite music anytime anywhere offline or online. Some music sharing sites are there who is providing music services online and offline anytime on the different platforms such as mobile, desktop, laptop etc. 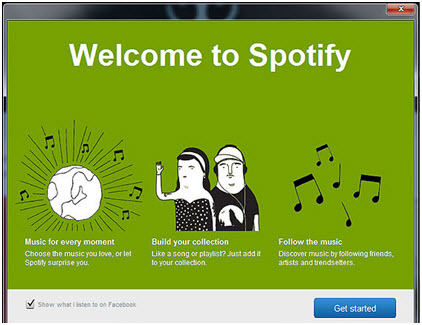 Spotify is a music service provider who provide you tracks offline and online. Now we are going to discuss about the Spotify that how you can listen music on your desktop using this application. Part 2: How to Listen to Spotify Music Online with Desktop? Before downloading Spotify client for desktop, you need to a computer with windows and working internet connection. Any email id or a facebook account. Step 2 Once you have visited to the official page of Spotify， you will see a button in the green color which says Get Spotify. Step 3 After clicking on it， it will redirect you to the Spotify download page. Step 4 After finishing downloading， it will ask you to login. 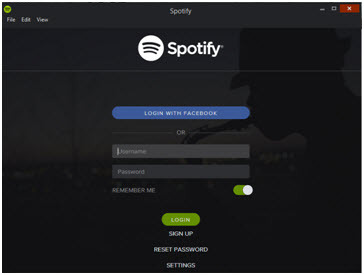 Here you can login to your account and use Spotify for desktop app on your computer. 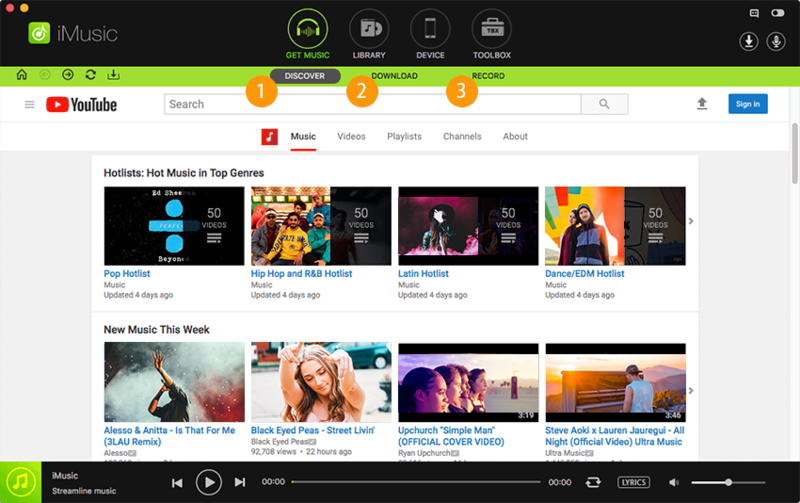 Spotify is a very famous music streaming service which allow user to listen their songs on all the devices such as windows, tablet, android or iPhone. If you want to use Spotify on any of these devices, then you can download Spotify from the corresponding play store of the device. Spotify desktop player is available for the computer users. This software is available for both mac and windows user. You can download it form the official website of Spotify as well and grab millions of songs on your desktop from Spotify. Using this desktop player you can play songs on your window or mac devices. There is a beta version of Spotify is also available on the Spotify website you can download it for both mac and windows. There is little different between Spotify beta and Spotify other version. This app will be installed separately from that other version. In the Spotify beta you will see little changes in the user interface of the Spotify such as top search box will look different and in the left sidebar some app features will be missing and many more changes are there. Before we discussed about downloading Spotify on your computer and installing it. Now we are going to tell you that how you can download and listen Spotify music on your desktop and grab millions of Spotify songs. 1. Before doing anything to listen your music, you need to visit Spotify website and download Spotify from there and install it on your computer. 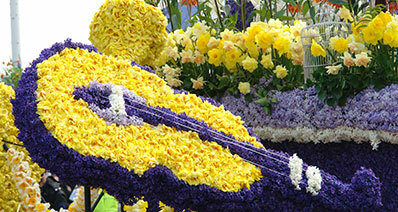 2 Before continuing the download process, terms and condition option will be there. Click on it and read them before downloading, so you will get complete information about the product. 3. After reading terms and condition, you can download it and run it after finishing your downloading. 4. 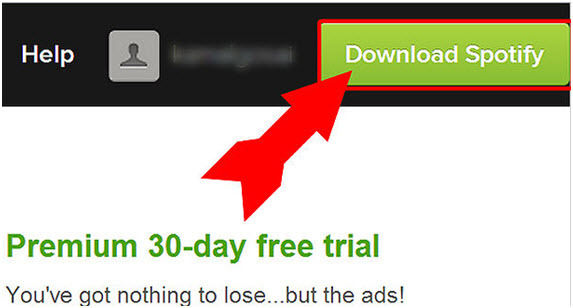 Once you have downloaded and installed it on your computer, double click on the application to launch it by click "Get started" button. 5. After launching the application, go in the search bar and search for your favorite tracks to listen them on your computer or mac. You can find this option at the left corner on the top of the application. 6. 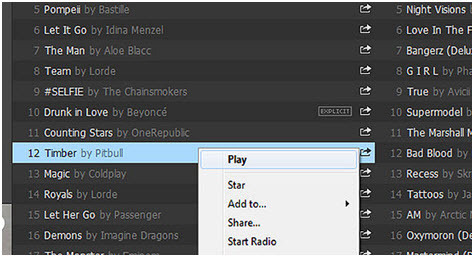 If you want to create your own playlist as per your requirement of your favorite songs, you can click on the New Playlist option. 7. Now just click on the song which you want to play and listen. If you want to add that song to your created playlist, click on the Add to and you will see the name of your playlist there and click on the name of your playlist or you can add that song to your star. Here star mean adding song to your favorite songs.